First, Iron Fist was canceled a week ago by Netflix. Now, after the third season of Daredevil dropped during the past weekend, Netflix announced that Luke Cage has also been canceled. 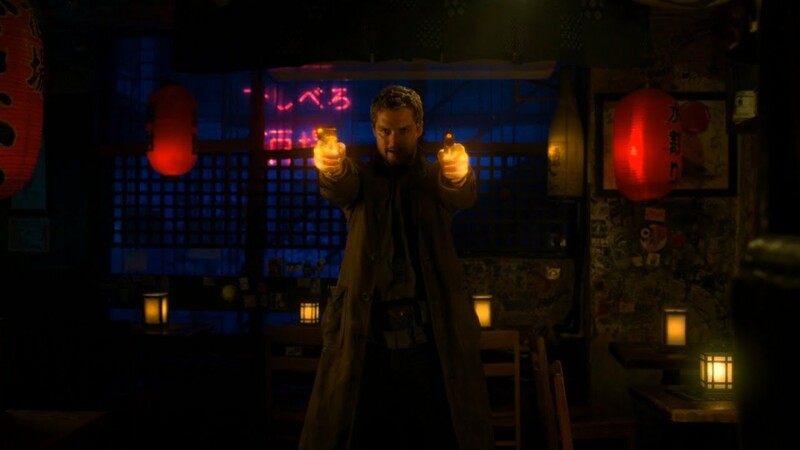 While the axing of Iron Fist was not a unexpected, the cancellation of the latter show came as a big surprise given reports that a new season was about to be greenlit. With these developments, which includes the coming of the Disney streaming app, fans of the Marvel Netflix Universe are wondering if this it for the Marvel Netflix shows. This may be hard to swallow for some given how well received the Marvel Netflix Universe was at the beginning. Daredevil and Jessica Jones are still considered the best of these shows and created the most buzz, even though the second seasons of both shows weren’t as good as the first. But we have to admit the luster has gone from these shows thanks to the uneven nature of recent shows. 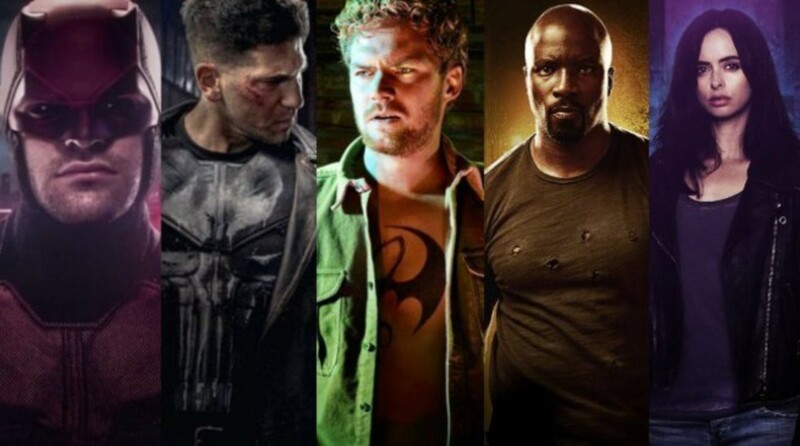 Namely Iron Fist, Luke Cage and The Defenders mini-series. So in a sense, the cancellations are not all that surprising. Still, the development signals an uncertain future for the shows. What could happen at this point? A common belief is that Disney will take all the shows for their streaming service, Disney Play, when it launches next year, and it is hoped that Iron Fist and Luke Cage will find new lives in the service. However, it needs to be stressed that the Marvel Netflix shows are for Netflix to cancel or continue, not Disney. Also, the service will cater to more family friendly fare that at most will be PG-13. The Marvel Netflix shows are certainly more adult oriented with their violence. Can you see a brutal show like The Punisher airing on Disney Play? One option is for Disney to stream these shows on Hulu where it will soon own a majority share. The entertainment giant has indicated that more adult fare will stream on Hulu instead of Disney Play. These shows will certainly fit in there if this is to be the new model for Hulu and allow Disney to move Runaways over to Disney Play. The thing is would Disney want to resurrect Luke Cage and Iron Fist? Both shows have had their problems, but they had their merits and the second season of Iron Fist was a vast improvement over the first. Meanwhile, the second season of Luke Cage ended on a semi-cliffhanger where Luke seemed to be headed towards a dark path as he took over as a benevolent crime lord in Harlem. This was a clear set up for a third season storyline, in fact, the scripts were written for the new season, which won’t see the light of day now. Iron Fist, too, ended with an intriguing new direction for the next season as Danny Rand and Colleen Wing displayed awesome new abilities, which promised an adaptation of the “Immortal Iron Fist” story from the comics. All this handwringing could be for nothing. For all we know, Netflix may announce tomorrow that both shows will be combined into Heroes For Hire. Fans know that this is what happened with their comic book counterparts when their books were combined into Powerman and Iron Fist back in the ’70s and ’80s. Then again, Netflix probably and justifiably sees Disney as a genuine threat and has enough original material to dispel with the Marvel Netflix shows. After all, these shows are nominally set in the Marvel Cinematic Universe and thus provide a measure of advertising for Disney and Marvel, so why help the competition? New seasons of Jessica Jones and The Punisher have been completed and will stream next year. At that point, we will have a clearer idea of where the Marvel Netflix Universe is headed. The next thing to look out for is if Daredevil is renewed for a fourth season. If so, then fans can relax. If no announcements are made or if Daredevil and the surviving shows are axed then it’s over. Sad as this may be, at least we had several seasons and crossovers to enjoy and we can be confident that we have not seen the last of these urban superheroes. *UPDATE: To no one’s surprise, both Jessica Jones and The Punisher have been cancelled by Netflix. Once Daredevil was cancelled mere weeks after its third season streamed, the writing on the wall regarding the Marvel Netflix Universe was clear to see. With the success of The Umbrella Academy, Netflix has demonstrated that it no longer needs Marvel properties. The question remains how long will the Marvel Netflix shows remain on the streaming service once Disney+ (formerly Disney Play) is available. Fans of the Marvel shows are holding on to a glimmer of hope with the news that Marvel is looking for ways to bring back the characters. Perhaps on Hulu or Disney+, however, Disney is not allowed to do anything with the specific characters until two years have past. That’s not so bad since it means Daredevil could return as early as late next year, but will it and the other shows be rebooted with new actors? We’ll find out. Its a shame Luke Cage and Iron Fist were cancelled. Perhaps they will do a Heroes for Hire spin off maybe? I think you are right. If Daredevil gets renewed then the Marvel / Netflix shows will continue, otherwise perhaps DD’s popularity could see the Man Without Fear / or other heroes from Hell Kitchen move to the big screen at some point in the future of the MCU? I’ve given up hope we will ever see the Netflix Marvel heroes on the big screen. They are basically pariahs and non existent. The best evidence of this was in Infinity War. The filmmakers came up with lame excuses for not featuring these NY based heroes in a film that opened in NY. They couldn’t even be bothered to stick in subtle references or Easter eggs during those scenes. It really is surprising to see the falls of these Marvel shows which at one point where so popular. Personally I find Daredevil to be by far the best, closely followed by Jessica Jones. Punisher’s first season was also solid, Iron Fist and Luke Cage I’ve enjoyed but never felt they had the creative ‘legs’ for multiple solo seasons. All the series are also quite similar tonally and have the tendency to suffer narrative bloat in order to satisfy the 13 episode structure. 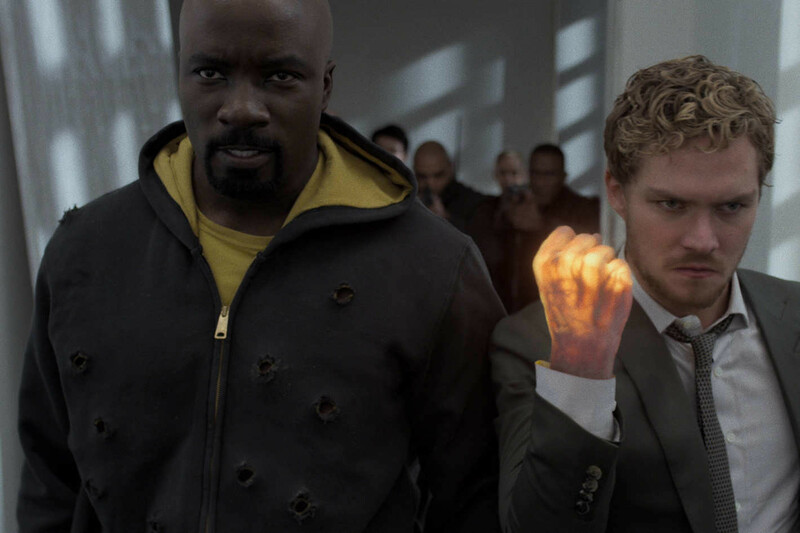 Mike Colter and Finn Jones are great onscreen together and I certainly have my fingers crossed that we get a Heroes for Hire and even a second Defenders team-up. One-off movie-length specials could also work as Netflix could tell a done in-one story with the characters without having to commit to full seasons. The lack of news on a fourth season of DD is making me nervous, season three is superb. Yeah rumors are all over the place regarding the remaining shows” fate. I really hope this is not the last we’ve seen of Luke Cage and Iron Fist. 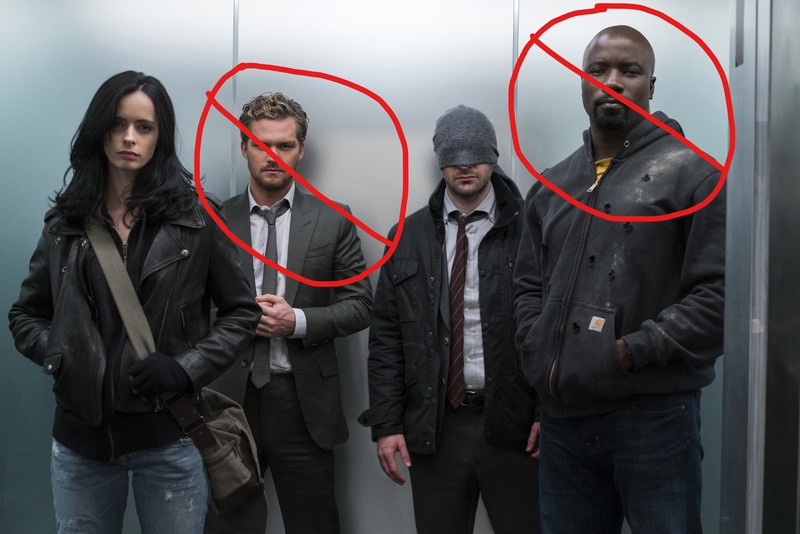 The two are great together and deserve at least a Heroes for Hire film to stream on the new Disney app or Netflix.